The Board of Trustees establishes tuition and fees. Tuition, fees, refunds and deposits are subject to change, at any time, at the discretion of the Board of Trustees. The Board of Trustees typically establishes tuition rates for the upcoming academic year each spring. For current rates, go to www.ncmich.edu/paying-for-college/north-central-cost-calculator.html, or contact Student Services or the Business Office. North Central recognizes three residency groupings for purposes of levying tuition rates: in-district (Emmet County residents), in-state (Michigan residents who live outside of Emmet County) and out-of-state (residents of other states). For residency determination, a student must have resided within the State of Michigan or in Emmet County for at least six months immediately prior to the first day of classes of the semester in which he/she plans to enroll. As part of the enrollment process, all students must certify their residency status. The College verifies a student's residency each fall semester. The College reserves the right to require residency documentation at any time. Students who change their legal residence must complete an Application for Residency Change form available in Student Services. The form must be accompanied by documentation proving legal residency. Proof can be a Michigan driver's license, rental lease or agreement, property tax receipt, voter registration card, or an identification card from a Secretary of State office. The College reserves the right to make the final decision on residency eligibility. Students who are in the United States under various non-immigrant visa categories are not eligible for in-district or in-state residency status for tuition purposes. A Residency Review Committee consisting of the Vice President of Student Affairs and Vice President of Finance and Facilities will hear appeals of residency classification as established by the College. Any adjustment made in tuition because of a change in residency status will not be retroactive. There are various components to calculating your college costs for each semester. Definitions for each component follow the Tuition and Fee Calculator. The calculator produces only an estimated cost. Actual costs will be calculated at the time of registration. All Title IV schools that enroll full-time, first-time degree- or certificate-seeking undergraduate students must have a net price calculator on their website. The net price is defined as the cost of attendance minus the average yearly grant and scholarship aid. The calculator provides estimated net price information to current and prospective students and should be based, as much as possible, on their individual circumstances. Payment of tuition and fees is due at the time of registration unless the student has financial aid that has been certified by the Financial Aid office of North Central Michigan College. Full payment can be made online using a credit card, or in person in the Business Office using a credit card, check or cash. North Central offers a deferred payment plan that provides a low-cost option for budgeting tuition costs and other education expenses. To learn more about and enroll in the plan online, go to www.ncmich.edu/paying-for-college/how-to-pay-for-college.html. During early registration periods prior to each semester, students can register with payment deferred until a specific published date. The College reserves the right to drop a student from all classes by the published due date unless full payment is made, the student has certified financial aid or the student has signed up for the deferred payment plan. Under specific conditions, North Central Michigan College grants refunds for tuition and course fees to students who officially withdraw from the College or reduce contact hours (per refund schedule). If the student receives assistance from College funds or other sources managed by the College, the refund is returned to the appropriate scholarship or grant fund. Refunds for a student with a Direct Student Loan who withdraws from the College will be sent to the student's lending institution. If North Central cancels a course, 100 percent of the tuition and fees will be refunded. Fall and Winter Semesters: Starting with the first day of the semester, 90 percent of tuition and fees will be refunded until the second Friday of the semester. After that time, there will be no refund. Summer Session: The refund schedule applies to the first Friday of the semester rather than the second Friday of the semester. Short Semester courses (fewer than 15 weeks): 100 percent of tuition and fees will be refunded if the course is dropped prior to the first class meeting. After that date, there will be no refund. Appeals for refunds after the add/drop deadline must be made in writing to the Registrar at North Central, 1515 Howard Street, Petoskey, MI 49770. A Refund Appeals Form, available in the Student Services office, must be completed and submitted for an appeal to be reviewed. 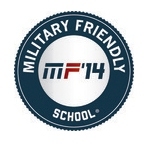 Requests for refunds are accepted for one year after the course was taken. The waiver will be effective the first semester following the semester in which the resident reaches age 60. Minimum class size must be attained without considering Emmet County senior citizen enrollment. Senior citizens must meet regular course entry requirements. Maximum class size shall not be exceeded by the enrollment of senior citizens. Senior citizens must pay all regular fees, including registration, course, laboratory, technology, building and energy conservation, student success and activity. 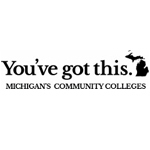 North Central Michigan College is committed to providing qualified students with financial aid programs to assist them in achieving their educational goals. Students must apply for financial aid each academic year by completing the Free Application for Federal Student Aid (FAFSA) at http://www.FAFSA.gov. The FAFSA is available after January 1 for the next academic year. Students are advised to apply as early as possible. When funds are limited, awards may be granted to applicants who meet all requirements and have a complete financial aid file by May 1. North Central will review the FAFSA results as received from the U.S. Department of Education to determine eligibility and the amount of students' awards based on Federal regulations. Students may access the U.S. Department of Education's website for further Federal financial aid requirements at http://www.studentaid.ed.gov. In addition, the College's Financial Aid Office can be contacted for further information on eligibility, award amounts and all financial aid programs. It is the student's responsibility to read and become familiar with policies and procedures and respond to all correspondence concerning financial aid. Failure to do so does not excuse a student from the requirements or policies necessary in administering aid programs. A conviction for any offense during a period of enrollment for which a student was receiving Title IV, HEA program funds, under any federal or state law involving the possession or sale of illegal drugs, will result in the loss of eligibility for any Title IV financial aid, including Pell and FSEOG grants, Federal Direct Loans and Federal Work-Study. Each semester, eligibility and award amounts are final­ized by reviewing enrollment status and other program requirements. Full-time enrollment is 12 credit hours and above; three-quarter time enrollment is 9 to 11 credit hours; half-time enrollment is 6 to 8 credit hours; and less than half-time enrollment is 5 or fewer credit hours. Program eligibility requirements and payments can vary depending on enrollment status. Financial Aid will cover only the courses in a student's declared program of study. The financial aid award is based on enrollment after the schedule adjustment (refund) period is over. Eligible students with awarded Federal aid may charge their books in the College Store against their semester aid. Financial aid award payments are applied to students' accounts each semester of enrollment approximately 30 days after the start date of the semester. Refunds for aid that exceed tuition, fees, books and campus housing and meal plan, if applicable, are issued within 14 days of the award payment to the students' account. Students can select the way they would like to receive their refund - electronically or with paper check. Students may not receive financial aid from two institutions concurrently. Students are responsible for any over-awards and will not be eligible for further aid until any funds are repaid. 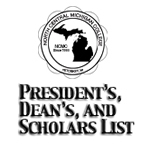 Students who are enrolled at North Central Michigan College as guest students are not eligible for federal financial aid or North Central Michigan College Foundation scholarships. A guest student is defined as someone with a home institution other than North Central where the student is pursuing his/her education credentials. Students may be eligible for federal assistance for attending a study-abroad program that is approved for credit by North Central Michigan College. Contact the Financial Aid Office. Federal financial aid recipients who withdraw or walk away from all of their classes before completing 60 percent of a semester are subject to the Federal Return of Title IV Funds policy. This federal policy determines the amount of federal aid a student earned based on the amount of days the student attended during the semester. If the calculation determines a repayment is due, the student's federal aid must be reduced and the student is required to repay both the federal Title IV financial aid programs and the College for the amounts returned to the federal programs. Title IV programs include Federal Pell Grants, Federal Supplemental Educational Opportunity Grants and Federal Direct Stafford Loans. The requirements for the Federal Student Aid programs when a student withdraws are separate from the College's refund policy. Therefore, the student may also owe funds to the College to cover unpaid institutional charges. Students will be ineligible for future financial aid at any college or university if unearned funds are not repaid to the U.S. Department of Education. Contact the Financial Aid office for current Federal Return of Title IV Funds schedules and examples before completely withdrawing from classes. Financial aid office employees follow North Central's Ethical Standard for Faculty, Staff, Administration and the Board of Trustees (Policy 115). In addition, as a member of the National Student Association for Student Financial Aid Administration - NASFAA - financial aid employees follow the NASFAA Statement of Ethical Principles and Code of Conduct for Financial Aid Professionals. In addition to meeting individual financial aid program requirements, students must make satisfactory academic progress toward completing a degree or certificate program to receive aid. The North Central Michigan College Academic Progress Policy applies to all students who receive financial aid from any financial aid program administered by the College, unless exempt by the program. Federal regulations require that colleges review all enrollment periods whether or not aid was received. Satisfactory Academic Progress is monitored at the completion of each semester of enrollment. All financial aid students cannot attempt more than 150% of the official North Central Michigan College academic program requirements or 90 credit hours (whichever is lower). Aid eligibility concludes after this time frame, pending mitigating circumstances. Attempted credit hours include: credits transferred from another college; incompletes; 0.0 grade (E); withdrawals; and repeated courses. Students who have exceeded the maximum attempted hours (150% Rule) to complete their degree and wish to pursue a second degree program must submit an appeal. Note: North Central Michigan College students may only earn one of the following degrees: Associate of Art (AA), Associate of Science (AS), or Associate of General Studies (AGS). Financial aid recipients who are not meeting the academic progress policy eligibilty requirement will be notified of ther status. Aid will be re-calculated based on the student's adjusted enrollment status regardless of whether the student received aid for previous course enrollments. All of the above apply as long as the student is meeting the three eligibility requirements listed under "Eligibility Requirements". Financial aid recipients who do not meet the eligibility requirements will be placed on a Warning Status semester of financial aid to move toward acceptable GPA and/or completion rates. The student will continue to receive financial aid during this semester. Students who fail to make satisfactory academic progress after the Warning period will become ineligible and have their financial aid withdrawn until they meet the standard. The student has taken, without funding from the financial aid office, at least six credit hours and has passed those six credit hours with a grade of "C" or better. The student will be given aid on a Warning Status for the next semester the student attends NCMC. The student has taken, without funding from the financial aid office, enough credit hours to meet the GPA and completion rate requirements. The student will be reinstated without Warning Status. Financial Aid Probation Status is assigned to a student who fails to make satisfactory academic progress, is terminated, has appealed, and then has had eligibility for aid reinstated for one semester. Specific conditions (e.g. reduced course load) may apply to the student's probation period. Explain any mitigating or extenuating circumstances. Describe what has changed in the student's situation that will allow the student to demonstrate satisfactory academic progress at the next evaluation. Appeals can result in: a) denial of reinstatement, or b) Probation Status with reinstatement of the student's financial aid for one semester. The result of an appeal will be communicated to the student and recorded in the student's financial aid file. A student may file a satisfactory academic progress appeal only one time. Grants offered at North Central are funds that do not have to be repaid. Grants are primarily based on dem­onstrated need and are developed for students who do not possess a bachelor's degree. Students apply using the FAFSA. A federal award based on financial need. Awards are based on enrollment status from full- to less than half-time depending on individual eligibility. A federal award based on financial need. Priority is given to Pell grant recipients. The award amount is determined by the College based on funds available. A State award that provides for tuition and fees at the resident college rate to students who are under age 20, are high school graduates, or have earned a GED. The Michigan Department of Treasury, through Family Independence Agency Medicaid records, certifies eligibility for each recipient. Students must enroll in at least six credit hours per semester. Scholarships are funds that do not have to be repaid. They are based primarily on academic achievement and may or may not be based on need. Outside/private scholarships have deadlines established each academic year. A State program for students who achieve required scores on the ACT exam and have financial need. 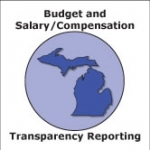 The Michigan Department of Treasury determines eligibility and the award amount. Through generous donations from the community, the College makes available a variety of scholarships. Many have a need component. Students should file a FAFSA along with the North Central Michigan College Scholarship application found online at http://www.ncmich.edu. Students file the FAFSA to be considered for Federal work study. Work study is need-based aid. Students receive a paycheck for the hours they work. The maximum amount a student may earn is specified. Students can apply for job openings through the Financial Aid office. Provides up to 20 hours per week of primarily on-campus employment to students with financial need. Limited community service positions are available off-campus. Student Loans are borrowed money and require repayment with interest. Repayment begins six months after a student ceases to be enrolled half-time. Students are required to file for financial aid using the FAFSA before a loan request can be considered. Students must be enrolled at least half-time and be making academic progress to receive loan consideration. Students should borrow only what they realistically can repay. The approved loan amount is determined by the student's financial need, other financial aid and resources, program limits and the loan amount requested. The school determines the eligibility for a federal student loan. The College can refuse to certify a loan application or can certify a loan for an amount less than the student would otherwise be eligible for if the College documents the reason for its action and explains the reason in writing. The College's decision is final and cannot be appealed to the federal government. Students are encouraged to access web information at http://www.studentloans.gov and at the College's website before taking out a loan. Academic history will be considered, regardless of overall GPA. Excessive withdrawals and/or incomplete grades could result in denial of funding. Previous defaults are not considered for loan funding. Students should contact the Financial Aid office for ad­ditional information and the steps to request a loan. For those students with financial need, the government pays the interest during school periods with a subsidized Federal Direct Stafford Loan. If eligible, a student may receive loan funds beyond the subsidized loan limit or, if he/she does not have a financial need, through an unsubsidized Federal Direct Stafford Loan. Loan maximums are set by the government but may be limited because of student eligibility. All students receiving subsidized and unsubsidized Federal Direct Stafford Loans participate in mandatory entrance and exit counseling online. The counseling takes place prior to the first disbursement of a loan. Online loan counseling is accessed through the College website. Loan entrance and exit counseling presents information regarding the responsibilities of indebtedness, repayment options and the consequences of failing to repay a loan. North Central requires a student to file a FAFSA to be considered for this non-need based loan. The Federal Direct PLUS Loan is for parents who want to borrow money to help pay for their dependent child's education. This loan is based on the parents' credit rating. Deferment is a period of time during repayment of a Federal Direct Stafford Loan in which the borrower, upon meeting certain conditions, is not required to make payments. The most typical deferment conditions are continuing study at an approved school with at least half-time enrollment, unemployment and economic hardship. Students must apply for deferment by contacting their lender or printing a deferment form from http://www.studentaid.ed.gov. Veterans and veterans' dependents are encouraged to contact the Veteran Resource Representative in the Learning Support Services office at (231) 348-6820 or mcolby@ncmich.edu for information about Department of Veteran Affairs (VA) benefit eligibility in the areas of: Education, Employment, Healthcare and Quality of Life. The VA Certifying Official on campus can assist students with applying for VA educational benefits and will certify enrollment each semester. 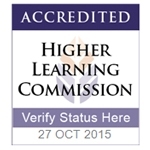 The student must request certification each semester with the VA Certifying Official. Students are required to make satisfactory academic progress to continue receiving benefits. All changes of address, program of study and withdrawals from courses must be reported immediately to the VA Certifying Official. For more information, visit http://www.gibill.va.gov. The Women's Resource Center has limited funds available to students who are single parents, displaced homemakers and those in nontraditional academic pro­grams for their gender. FAFSA filing is required. Contact the Education department at (231) 242-1492 for resources available to LTBB members. Michigan residents who are North American Indian and are certified one-quarter blood quantum by their tribal association may be eligible for tuition assistance funding. A Michigan Indian Tuition Waiver Application must be completed. Students should contact their tribal enrollment office. WOCTEP offers financial and other assistance to North Central students enrolled in one or more of the seven short culturally enriched certificates; New Media, Graphic Arts, Phlebotomy, Certified Nurse Aide, Medical Assistant, Medical Billing and Coding, Business of Art and Computer Numerically Controlled (CNC). Northwest Michigan Works! offers career guidance and basic skill development for adult learners. Funds are available for students in vocational programs who are economically disadvantaged, long-term unemployed or dislocated workers. Eligible students may receive funding for tuition, fees, books, supplies and mileage. For more information, students should contact their regional Michigan Works! office. Scholarship funds for graduating high school seniors or graduates from Emmet County. Contact the Foundation at (231) 348-5820 for current scholarships and deadline dates. State funds are available for tuition, fees, books and stipends for students currently working in participating early childhood education programs. For more information, visit http://www.miaeyc.org.